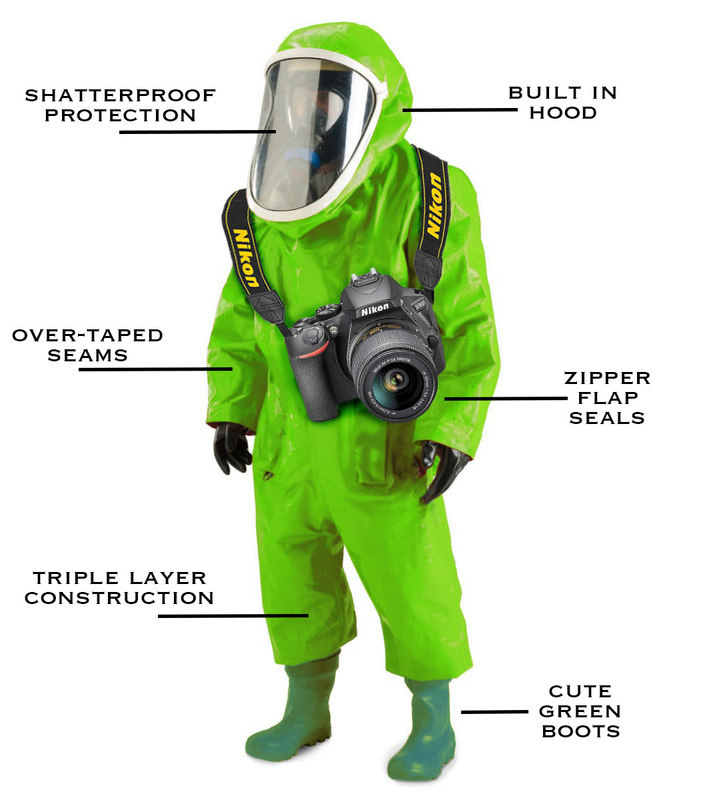 Modern Myths of Photography #1 – “I’ll break the camera!” Peter says: ‘NOT TRUE!’ Special protective gear is worn by the photographer and custom filter shields are used for the camera and lighting gear. Cameras nowadays are vastly improved for ruggedness and durability compared to the old days when people did actually break the camera. The sudden shock of subject person and camera proximity no longer is a factor in current day professional photography studios. I also anticipate the presence of harmful auras, bad feng shui, psychokinesis, and polar vortexes that might interrupt the shooting process. There’s no excuse for not going all out and getting a good looking new professional portrait or headshot. When you’re ready, I’m ready. Go ahead, let’s give it our best shot!